Welcome to the U.S. Scuba Certification website! 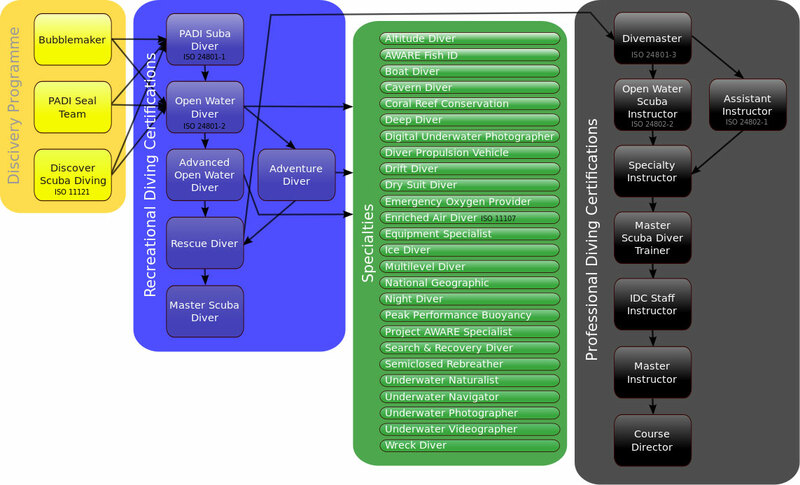 We have all the scuba diving certification resources you'll need. Use our directory to help you find a local scuba diving business to get certified, or even find the best scuba gear. We're here to help you get diving as quickly and safely as possible! If you’re serious about scuba diving, you’ve most likely heard of the Professional Association of Diving Instructors (PADI). It is the world’s largest scuba diving association by membership, and also the largest diver training organization. In 1966 John Cronin, who was originally a NAUI instructor, decided to start his own membership with Ralph Erickson and create multiple courses determined by scuba diving specialties. This broke up the once known overall scuba certification system. No matter your scuba diving skill level, PADI courses range from entry level to professional and advanced diving certification, and are designed for everyone. The courses are based on the performance of diving training programs and get more complex as you progress. They usually start with low level skills, such as motor skills and dive safety knowledge. When beginning a PADI scuba diving program, it is recommended that you choose a specific certification as your goal to work towards. With everything in life, it takes time and effort to achieve your goal. PADI has made it easy to get diving certified in your field of work, or even to start a new career as a certified scuba diver. Visit the PADI Website to learn more. How old do you have to be to Scuba Dive? How Much does Scuba Gear Cost? How Much does it Cost to get Scuba Certified? Do you have to be Certified to Scuba Dive? Is Scuba Diving a Sport?